This Staff Working Document presents the results of a comprehensive evaluation of the implementation and impacts of Regulation (EC) No 1224/2009 1 establishing a Community control system for ensuring compliance with the rules of the common fisheries policy (hereinafter ‘the Control Regulation’) in the period 2010-2016. The evaluation responds to the legal obligation set in Article 118 of the Control Regulation which calls on the Commission to report to the European Parliament and the Council on the status of implementation of the Control Regulation in the Member States every five years, and to evaluate its impacts on the Common Fisheries Policy 2 (CFP) five years after its entry into force. As part of the Regulatory Fitness and Performance Programme (REFIT) 3 of the Commission, this evaluation also aims at carrying out an assessment of whether the Regulation is fit for purpose by focusing on its simplification and regulatory burden reduction aspects. The evaluation assesses progress and achievements in implementing the Control Regulation and shortcomings and/or gaps, in view of changes in the global context since 2010. The results presented in this document are based on the data reported by Member States according to Article 118(1) of the Control Regulation and on Commission observations derived from audits, verifications and inspections carried out in the period 2010-2016 according to Title X of the Control Regulation. The findings are supported by an independent analytical study undertaken by an external consultant 4 , 5 and a wide range of consultations. The evaluation covers all EU Member States, with focus on coastal countries. The main provisions of the Control Regulation have been investigated to assess their impacts in the promotion of the level playing field and development of a culture of compliance and respect of the CFP. Instruments of the Commission to ensure the implementation of CFP by Member States have been also analysed. In accordance with the Commission Better Regulation Guidelines 6 the performance of the Control Regulation is evaluated in terms of relevance, effectiveness, efficiency, coherence and EU added value. According to the mandate set in the REFIT programme, administrative burden and simplification aspects were also investigated. The Common Fisheries Policy objectives are to ensure that fishing and aquaculture activities are environmentally sustainable in the long term and are managed in a way that is consistent to achieve economic, social and employment benefits. Setting and effectively monitoring total allowable catches (TAC) and national quotas to ensure sustainable exploitation of fish resources is the cornerstone of this policy. The success of the CFP depends very much on the effective implementation of control system requirements. The measures establishing a Union control system for ensuring compliance with rules of the CFP are provided for in the Council Regulation (EC) No 1224/2009 of 20 November 2009. The Regulation entered into force on 1 January 2010 - with a transitional period for some measures until 31 December 2013. In addition, Commission implementing Regulation (EU) No 404/2011 7 laying down detailed rules for the implementation of Control Regulation entered into force on 7 May 2011. Before the adoption of the Control Regulation, the former control system no longer ensured compliance with the rules of the CFP. Control provisions were contained in a wide number of overlapping and complex legal texts. Some parts of the control system were poorly implemented by Member States which resulted in insufficient and divergent measures in response to infringements of the CFP rules thus undermining the level playing field for fishermen across the EU. The European Court of Auditors 8 , 9 made the same diagnosis: national catch registration systems had numerous shortcomings, basic data were incomplete and unreliable and the legal framework was inadequate and not properly applied by Member States. As a result, the Commission was unable to identify data errors and anomalies and take necessary decisions in due time. Inspection systems did not guarantee efficient prevention or detection of infringements and there was an absence of harmonised control standards. Against this background, the Control Regulation consolidated and simplified all control related obligations in a single legal instrument, aiming at deleting duplicate regulations and reducing administrative burden. Furthermore, it intended to develop a new approach to inspection and control, both at EU and Member States level, creating level-playing field across the EU for the sanction of serious infringements of CFP rules and strengthening cooperation and assistance among Member States and the European Commission. It intended to develop a culture of compliance and of enhanced transparency, making more use of modern technologies and of data cross-checking, increasing cost effectiveness and adjusting and extending the mandate of the European Fisheries Control Agency (EFCA) 10 . Besides the context and objectives set at the time of its adoption, the evaluation of the Control Regulation could not abstract from considering changes in the global context since 2010. In this regard, the recent CFP reform introduced new objectives and legal obligations, as for instance the landing obligation. The evolution of the control aspects implemented by means of application of the Illegal, Unreported, and Unregulated (IUU) Fishing Regulation 11 , the European Maritime and Fisheries Fund 12 (EMFF) for the period 2014-2020 (introducing, among others, new provisions on financial sanctions), the Regulation on Common Markets Organisation 13 (CMO), as well as on-going discussions on a Regulation on the sustainable management of external fishing fleets 14 (FAR) and the EU's efforts to shape international ocean governance have also be taken into account. Finally, the evaluation considered the changed institutional and political scenarios, above all the entry into force of the Lisbon Treaty and the establishment of a European Cooperation on Coast Guard functions 15 . The evaluation was carried out according to the five criteria of relevance, effectiveness, efficiency, coherence, EU added value, plus administrative burden. Relevance: The evaluation looked at whether the current control system framework is adequate to address the main issues of the control of fisheries. The analysis under this criterion has in particular focussed on the approach to control and control rules, by assessing the Control Regulation as regards its potential to improve data quality, to enhance mutual and administrative cooperation, to harmonise inspections, to manage the capacity of the EU fleet and in general to simplify rules. Effectiveness: The effectiveness of the control of fisheries legislation refers to the realisation of the expected effects. The evaluation has therefore especially looked at whether the Control Regulation has contributed to establish a level playing field and to promote a culture of compliance with CFP rules in the EU and among EU stakeholders. Under this criterion, the contribution of the various instruments of the Control Regulation to reach these overall objectives has been assessed. Efficiency: Under the efficiency criterion, the compliance cost for the different stakeholders (operators, national administrations, EFCA) to implement the main provisions of the Control Regulation have been compared with the achieved benefits at EU level. European Added Value: The analysis of the EU added value has looked at whether action at EU level is the most appropriate, if compared to same action performed by individual Member States. Coherence: The evaluation looked at the coherence of the fishery control system, both internally (i.e. with other fishery legislation and international agreements) and externally in terms of coherence with other EU policies. The administrative burden of the current system on operators and national authorities was assessed against the previous system, and its reduction estimated as much as possible. The evaluation questions were defined on the basis of the intervention logic presented below. In particular they aimed at assessing the various identified links between needs, objectives, inputs and effects. Details of the intervention logic elements in the figure below are provided in Annex I, together with the evaluation questions. The Commission evaluation, which is supported by an independent analytical study undertaken by an external consultant, is based on a wide-ranging consultation process. It included the five years reports from the Member States sent according to Article 118(1) of the Control Regulation, surveys and targeted individual or group interviews structured around the evaluation questions, a public consultation with an online questionnaire, national visits in Member States and single and multi-stakeholder workshops. Although the information submitted by Member States through the five years report covers the period 2010-2014, the evaluation considered also more up-to-date information, collected through the consultation process. More details on the procedure followed are provided in Annex II while the consultation process, the tools used and a summary of responses gathered are provided in Annex III. In this document the results of the study carried out by the external consultant are summarised and complemented with EFCA technical expertise, with the outcome of stakeholders' consultations carried out by DG MARE, and with the results of the verifications, audits and inspections carried out in the period 2010-2016 by the Commission according to Title X of the Control Regulation. The assessment of the implementation of the Control Regulation is based on the data provided by the Member States in their reports submitted pursuant to Article118(1). Unfortunately, the margin of interpretation offered by the Annex XXXVII of the Commission Implementing Regulation (EU) No 404/2011, laying down the list of minimum information to be provided by the Member States to the Commission, resulted in limited possibilities for comparison and compilation of the quantitative data reported at national level Member States also had different interpretations of the qualitative information requested. Due to these differences, the qualitative information provided did not always serve the purpose it was intended for, namely to support the quantitative information by providing context and explaining trends. These limitations were addressed through several calls for additional information, to which Member States responded and which helped to clarify the situation. The limitations in the data reporting were mitigated through the finding of the verification missions and audits carried out by DG MARE since 2010 and with cross checking with other reporting systems (e.g. Eurostat, fleet register). Notwithstanding these limitations, the evaluation is based on a review of best available quantitative and qualitative evidence, including stakeholders’ and experts’ views and field visits. This section presents progress and achievements in the implementation of the Control Regulation, as well as shortcomings and gaps. It provides the basis on which some of the answers to the evaluation questions — in particular regarding effectiveness — in section 6 are drawn. Based on data reported by Member States according to Article 118 of the Control Regulation and on Commission observations derived from audits, verifications and inspections carried out according to Title X of the Control Regulation, the Commission considers that the implementation of the Control Regulation has been sufficiently satisfactory. Subsequent improvements could be observed year-on-year as Member States and operators gained experience with its operation. Not all aspects of the Control Regulation however have received equal attention in the implementation phase. Resources have been focused on measures perceived to be most effective or most urgent. Member States have implemented the main requirements of the Control Regulation and set up new instruments, procedures and standards for inspection and enforcement of fishing activities throughout the EU. They have established modern Fishing Monitoring Centres which, together with a risk-based control strategy and coherent national control programmes, have improved the surveillance and tracking of fishing vessels in all EU and international waters, as well as the collection and transmission of reliable data. The designation of a single authority to coordinate control and data management, as well as the nomination of EU inspectors has also been completed. This has considerably helped to develop operational and strategic cooperation between the Member States. Today almost 100% of the fishing vessels longer than 12m, which account for 97% of total landings, is equipped with a Vessel Monitoring System (VMS). The setting-up of IT infrastructure for electronic exchange of fishing activities data between Member States has been largely achieved, although not without difficulties. Almost 5000 vessels were equipped at the end of 2014 with an electronic logbook (ERS), which represents an increase of 500% in 5 years and around 40% of the vessels above 12m. Conversely, the number of vessels using the paper logbook has decreased from 15 thousand in 2010 to 9 thousand in 2014. In the control of the use of fishing opportunities there are however concerns on how Member States monitor the activities and report to the Commission catch data of fishing vessels which are not subject to fishing logbook requirements. Also, although the fishing capacity in Europe decreased over the years, there are some issues on how Member States implement their fleet management control, in particular regarding monitoring and verification of the engine power of fishing vessels. Although Member States implemented to a great extent the provisions in the Control Regulation regarding control of marketing, several weaknesses still appear. Weighing sampling plans, derogations for weighing and control plans are implemented very differently across Member States, sometimes with weak control, which might leave room for misreporting. Likewise, the quality of traceability systems implemented to track lots of fisheries products present big differences across Member States. Key problems are due insufficient control at first sale where consignments might be put on the market without preliminary control of their origin and loss of traceability during transport. Also the paper based traceability system mandated by the Control Regulation is not considered effective by Member States, which as a result are developing on a voluntary basis electronic traceability systems. The different approaches taken at national level however hinder data exchange, cross checks and validation. According to data reported by Member States, during the years the number of inspections at sea conducted decreased by 30%, but the number of infringements found during these inspections grew by 50%. The ratio of inspections compared to fishing trips has increased over the five year period, from 1 to 5%. The number of onshore inspections increased by more than 60% from 2010, and this brought to an increase in the number of infringements detected. The ratio between the number of total infringements detected and the total number of inspections (onshore plus offshore) shows however a downward trend, hence suggesting increased compliance. Specific Control and Inspection Programmes have been adopted by the Commission for all sea basins and have been implemented by Members States through Joint Deployment Plans (JDPs), with EFCA assuring operational coordination of inspection activities in this frame. Sea and land-based inspections carried out in the frame of JDPs have increased between 2010 and 2015, from 6 000 to 17 000 across all sea basins. The ratio for suspected infringements by inspection has remained low over the years (4%). In 2014 this ratio increased significantly in the Mediterranean Sea from approximately 6% to 16%, primarily due to extending the scope of the JDPs to more species. The Commission has been closely monitoring the enforcement measures taken by Members States as a result of infringements detected in the framework of JDPs (proceedings and sanctions), especially in the Bluefin tuna fishery where there is an international obligation to report serious infringements to the International Commission for the Conservation of Atlantic Tunas (ICCAT). The large majority of the suspected infringements identified during the JDPs inspections in those cases relates to misreporting. All Member States have in place a legal framework for sanctioning CFP infringements, and most of them have a point system for sanctioning serious infringements. In the majority of the countries, however, the penalty point system has been introduced into the national legislation only recently, and points were attributed only in a limited number of cases. Not all Member States answered the questions on serious infringements, but according to the data received less than in half of cases points were allocated to the license holder when a serious infringement was detected. On points allocation there is a clear confusion between the responsibilities of flag state and costal state, which results in some cases in an inadequate follow up of the serious infringements and point allocations. It is estimated that there are about 900 serious infringements reports in EU per year. In order to verify compliance with CFP rules by Member States, DG MARE's fisheries inspectors carry out verifications, inspections and audits. Since 2010, more than 300 missions have been carried out by DG MARE and all coastal Member States of the EU have been controlled and evaluated. The identified cases of non-compliance have been followed-up either by action plans or by infringement procedures. Up to date in total 13 action plans have been established, 2 of which have been already closed, and a few more are in the pipeline. As regards cases of non-compliance that could not be addressed by an action plan, informal bilateral dialogues proved successful in most of the cases and formal infringement procedures had to be launched only in a small minority of these cases. This demonstrates the willingness of Member States to cooperate with the Commission in finding solutions to identified irregularities already at an early stage of the infringement process. In 2015 and 2016 seven and three infringement cases respectively were still pending. More details on implementation of the Control Regulation by geographical area and instruments used by the Commission to verify compliance with the provisions of the Control Regulation by Member States is provided in Annex IV. Between 2014 and 2016 specific work was carried out by DG MARE to analyse the Member State sanctioning legislation and practice for fisheries infringements. The results show that levels of sanctions are very different from one Member State to another. This comes as no surprise given that there is no harmonisation of sanctions for infringements of CFP rules, the applicable EU standard in this respect being the general requirement for effective, proportionate and dissuasive sanctions, leaving the type and level of sanctions entirely to the Member State. In most Member States, the economic benefit derived from the infringement is normally an element considered for the purpose of calculating the sanctions. On the implementation of the point system for serious infringements, deficiencies still remain both with respect to the national legal framework, but more importantly with its full application. The EMFF introduced an ex-ante conditionality, so that projects can be funded only upon respect of important control requirements and secured budget appropriations for control, which was particularly useful in this period of budget cuts. Twelve Member States did not meet the established criteria and are now implementing corrective measures in the form of an EMFF action plan on ex-ante conditionality. This is currently being reviewed with results due by end of 2017..
6.1.Relevance: To what extent do the objectives of the Control Regime correspond to the problems and issues to be addressed? The assessment shows that the policy framework remains relevant and the Control Regulation is essential for achieving the objectives of the CFP. Enforcing respect of sustainable and conservation measures is in fact still of great actuality. The objectives of the Control Regulation adequately cover needs identified ex-ante and proved to tackle serious fisheries control issues. The principles embedded in its provisions, namely to provide a global and integrated approach to control, to have harmonised control rules and inspection standards, to enhance mutual cooperation, to impose effective, proportionate, and dissuasive penalties, to apply cost effective measures for control are recognised by the majority of stakeholders as essential for establishing a level playing field among fishing operators at EU level and results in those fields should be further actively pursed. 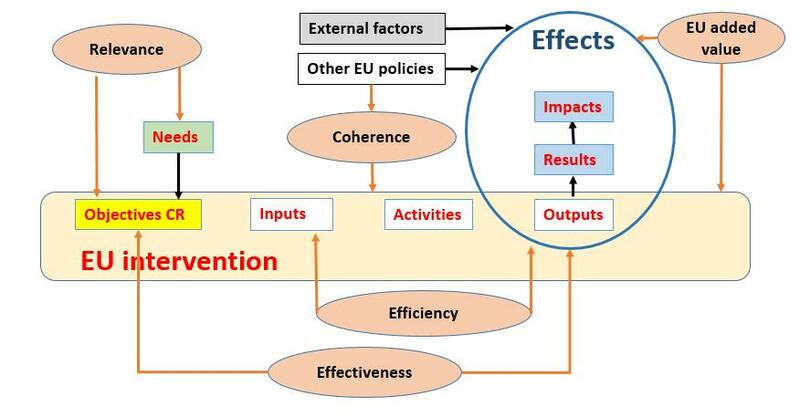 6.2.Effectiveness: To what extent the Control Regime has achieved its objectives ? The Control Regulation is considered a critical instrument for establishing a level playing field and for promoting a culture of compliance with CFP rules in the EU and among EU stakeholders. Great progress has been done in the fishery control system over the evaluation period and considerable results have been achieved. The single legal framework adopted in 2009 simplified and rationalised the system. Previously control provisions were contained in a number of overlapping and complex legal texts. Some parts of the control system were poorly implemented by Member States and this undermined the creation of a level playing field for fishermen across the EU. The introduction of the new system improved the situation in this regard and contributed to establishing a more coherent system of control and enforcement of the CFP rules. A correct and effective implementation of the CFP relies on proper documentation and control of fishing activities. An accurate recording of catches is essential for monitoring the actual use of fishing opportunities by the Member States and for the correct assessment of the status of the stocks. The effectiveness of the control system benefited from the introduction of new technologies. Monitoring of vessels improved through the mandatory use of VMS, which allows continuos and 'live' monitoring of the fishing vessels. While only 15% of the vessels are subject to mandatory use of VMS, these vessels account for approximately 90% of the gross tonnage (capacity) of the fleet. The Electronic Reporting System (ERS), also mandatory for vessels above 12 meter, allows to exchange catch data in real time, and validation procedures and cross checks allow to increase the quality, reliability and timeliness of catch data. The evaluation however shows that there are still issues mainly linked to derogations from the logbook and sales notes requirements, and derogations for weighing which may still lead to fish being unaccounted for. Also the lack of reporting provisions for recreational fisheries is felt hampering the quality of catch data. The principles behind the provisions on market control and traceability create the right framework allowing for an integrated approach for control of the fish throughout the entire commercial chain, from net to plate. Their formulation and implementation again however did not bring all the expected results. Even though an improvement has been observed across Member States and while post landing control, and increased the reliability and quality of data thanks to cross checks and validation procedures, there are still issues in weighing, deficiencies in weighing plans, in control at first sales and during transport. The current practices in weighing show that at times catch quantities are not fully weighed, nor estimated before first sale. This might result in counting unverified (and potentially erroneous) quantities against quota. Issues relate also to the powers conferred to the Commission. Furthermore, there is still insufficient control of the origin of products offered for first sale. This is particularly serious when fish has been transported across Europe from the place of landing to the place of sale. Destination can change depending on market opportunities, without information being given to the control authorities, so an adequate monitoring of transport would require real time information exchange. The liability currently attributed in the Control Regulation to the transporter is also questioned and not considered appropriate. Transport and exchange of fish between Member States increased during the last years 16 and the current provisions in the Control Regulation are found outdated and not adequate to effectively follow fish during transport. This situation, combined with a lack of control at first sale, can give room to misreporting of fish, or in the worst cases to the introduction of IUU fish in the market chain. In addition the majority of stakeholders pointed out at lack of clarity in the current traceability provisions, which prevent them from being fully effective. The deficiencies in traceability are also due to the fact that the Control Regulation provides that Member States may implement a paper based traceability system for lots of fisheries products. Recognising such system as ineffective, a number of Member States are voluntarily developing extensive electronic traceability systems, which however are not harmonised at European level, creating difficulties in data exchange. It should also be noted that in some cases difficulties in data exchange are attributed to reluctance in data sharing, including between the Member States, the Commission and EFCA. The Control Regulation is effective in strengthening cooperation among Member States and between Member States and EFCA. This has been achieved through increased exchange of information on fishing and control efforts among all players. Most of the control authorities indicated that the Control Regulation provisions on data exchange led to improved data quality and coordination. While most of the technical difficulties concerning that exchange are resolved, some challenges still remain, such as differences in formats or lack of responsiveness of some control authorities to data requests, which hinder effectiveness of this instrument. EFCA plays a pivotal role in the cooperation among Member States by providing coordination of monitoring, control and surveillance efforts through the JDPs, training of Union and national inspectors, and general support on control issues. In particular, JDPs coordinated by EFCA to implement specific control and inspection programmes, are considered by all stakeholders indispensable for effective inspections, indicating that this tool is effective also in strengthening the cooperation among Member States in Union and international waters. The Expert Group on Compliance and the Action Plans are also effective instruments of collaboration between the Commission and Member States and are strongly appreciated by both parties. The assessment found that the Control Regulation is effective in contributing to a more inclusive and harmonised system for control, inspection and enforcement. Examples of this EU-wide approach are the common inspection standards, the inclusion of more vessels subject to electronic monitoring and reporting, and the introduction of a more uniform sanctioning mechanism. Such harmonisation revealed to be effective in promoting the level playing field, imposing comparable obligations for each category of actors, in particular operators and control authorities. The level playing field is however hindered when rules and choices are discretional to Member States, like for instance the application of derogations to small vessels and, in case of sanctions and point system for serious infringements, to the criteria used by the Member States to define and apply them. The penalty points system introduced for serious infringements was supposed to lead to a better and more harmonised enforcement of the CFP rules. At this stage, however, the opinions of stakeholders on the topic are highly controversial and the effectiveness of the whole sanctioning system is disputed. The current point system for serious infringements is not applied by Member States with even criteria, and cooperation among Member States is absolutely necessary for fair treatment of fishermen and to gain their trust and respect of the rules. In addition, the implementation of adequate sanctions in case of infringements in a consistent and even manner is essential to ensure their deterrent effects, besides contributing to the fulfilment of the EU's international obligations. The impacts of the Control Regulation on economic, social and environmental sustainability of the fisheries industry within the Union were difficult to assess, as several factors strongly affect those parameters and any unambiguous attribution to the Control Regulation would be impossible. It is however clear that the situation in Northern Europe differs from that in the South. While in the North-East Atlantic economic, social and environmental sustainability improved, the situation worsened for all the three parameters in the area of the Mediterranean and Black Sea. To explain these different trends the very different nature of fisheries exploited, the different geographical and political nature of the two sea basins, together with the extent of the economic crisis shall be taken into account. The assessment undoubtedly highlighted issues of suitability and enforceability of the Control Regulation for the Mediterranean fleet, composed mainly by small vessels and with a prevalence of recreational fisheries, for which no limit of fishing opportunities exist, and for which stocks are shared with third countries. The evaluation indicates that the principles embedded in the Control Regulation are effective in introducing a framework, which contributes to the achievement of its objectives. If the Control Regulation greatly contributed to improve the fishery control system in Europe, however delays and deficiencies in the actual implementation of some of its provisions hindered the global effectiveness of this legal instrument. 6.3.Efficiency: To what extent the Control Regime has been efficient to achieve its objectives? The efficiency was assessed considering the relationship between the resources used to implement the main provisions of the Control Regulation and the changes generated. The analysis mainly focussed on level playing field, traceability of fish products, cooperation among stakeholders, data use and culture of compliance. During the years 2010-2013 the Commission adopted nine financial decisions 17 allocating a total of €185,2 million for supporting investments for fisheries control. A total of €580 million are ear-marked in the frame of EMFF for support to Member States in the area of fisheries control for the period 2014-2020. The Control Regulation lays down various provisions which (directly and indirectly) promote level playing field, among them the conditions of access to waters and resources and the control of fisheries and of fleet through the increased use of modern technologies. All these provisions were found to be efficient in creating a harmonised system, enhancing the control and monitoring efforts and forming a cost effective system to control vessels activities. The VMS and the ERS are the instruments with the most prominent efficiency gain, enabling remote monitoring of the fishing vessels, creating means for data collection, common standards for the (digital) registration, storage and exchange of data on catch, landing and fishing effort. The level playing field is further enhanced by the training of inspectors by EFCA, and the development of inspection standards, which results in a more harmonised manner of conducting inspections throughout the Union. In the period 2010 – 2014, the number of Member State officials trained by the EFCA grew from 212 in 2011 to 842 in 2014 and the number of events doubled from 23 in 2010 to 47 in 2014. On average, for the years between 2012 and 2014 every event resulted in 20 trained inspectors. The Control Regulation contains provisions for the full traceability of fisheries and aquaculture products from catch to the retail stage. While the principles embedded in the legislation are considered good, with a system designed to transcend national borders, the efficiency of this tool is not yet fully exploited mainly due to the fact that the provisions in the Control Regulation refer to a paper based system. Various Member States started at national level the development of IT systems which are considered much more efficient. The collaboration among Members States increased compared to the past, and the digital infrastructure developed for data storage and exchange is considered an efficient mechanism. The efficiency of the collection and use of data can be however still improved, since many Member States are still in the process of developing fully computer-based information systems, including automated cross-checking and validation. Another element which was found to be efficient in reinforcing cooperation was the strengthened mandate of EFCA. The coordination of inspections through JDPs strengthens the capacity of the Union as a whole to ensure compliance with the CFP rules and enhances cooperation between Member States. In 2014 five JDP were successfully implemented with a total of 17,000 coordinated inspections and 703 suspected infringements detected, figures than have more than doubled since 2009. The evaluation shows that the newly introduced risk-based approach in control strategy is efficient, maximising benefits and use of resources. The risk-based approach allows Member States to rank the risk of non compliance for the different type of fisheries and therefore, rather than a random approach, focus inspections and control activities on vessels showing higher risk of non compliance with CFP or control rules. The same strategy allowed to shift the inspections onshore with a consistent reduction of costs (according to data provided by EFCA sea control are conducted by patrol aircrafts which costs about 2,919 € per hour, or patrol vessels costing on average 15,613 € a day, while inspection on shore cost on average 360 € a day). Thanks to its application the compliance with both CFP policy and with control rules have increased while the cost for surveillance and inspections decreased, optimising as well resource deployment. The efficiency of this tool is again however limited by the differences in risk assessment methodologies used at national level, which undermine the uniform implementation of the Control Regulation. 6.4.Coherence: To what extent the new control Regime has been coherent with the CFP (internal coherence)? To what extent the new control Regime has been coherent with other EU policies (external coherence)? The analysis showed that the general and specific objectives of the Control Regulation are coherent and directly supporting the achievement of the CFP objectives, aiming at creating a comprehensive, effective and efficient control system characterised by level playing field and a culture of compliance, as called for in Article 36 of the CFP. Despite this consistency, and the amendment in 2015 of the Control Regulation for alignment with the new CFP through the so called Omnibus Regulation 18 , concerns among stakeholders remain on the current provisions for the control of some of the new obligations set in the CFP, as for instance the landing obligation, which do not seem to adequately cover all the steps in the commercial chain of the different fisheries (e.g. control of the use of catches of species below the minimum conservation reference size and not for direct human consumption). The Control Regulation was found consistent with other existing fishery legislation such as Fishing Authorisation Regulation 19 , the Regulation on Technical Measures 20 , the Mediterranean Regulation 21 , the IUU and the CMO Regulation. Thanks to the investments done in new and modern technologies (e.g. VMS, ERS), and to the funds allocated to sustain research and innovation the Control Regulation contributes in creating a smart, sustainable and inclusive growth (Europe 2020) and is coherent with environmental, maritime, innovation, sanitary, customs and trade EU policies. The tools in the Control Regulation however lack of synergies with the Marine Strategy Framework Directive and with the newly established European Cooperation on Coast Guard functions and improvements in these fields should be looked upon. The deficiencies highlighted in the traceability system might also hamper the achievement of the objectives of the CMO Regulation. 6.5.EU added value: What are the advantages of one EU-wide control system? What are the advantages of an EU-wide coordination? The Control Regulation was found as being essential in adding value compared to possible diversified national approaches and in guaranteeing a proper control and management of shared resources. In prescribing a harmonised and common framework for control of CFP measures, and in defining harmonised inspection and control standards, the Control Regulation contributes to create a level playing field across the EU and hence to improve the culture of compliance with CFP rules. The general measures on inspection and proceedings, with the definition of the duties of operators, of Union inspectors, and procedures for inspections of fishing vessels outside the waters of the inspecting Member States, provisions on minimum information required for the fishing licences and authorisations, the minimum information required for completion of inspection and surveillance reports, the defined reporting formats, the methodologies set for establishing the various sampling plans among others allowed to uniform the control procedures at European level. Member States control authorities consulted in the frame of this evaluation unanimously commented that the Control Regulation was supportive to their efforts. The principles embedded in the Control Regulation and its implementing rules have an added value and coordination and initiatives from the Commission and EFCA in having a common approach to control activities is fundamental. Cooperation mechanisms for solving problems or contributing to capacity building are valuable and appreciated. The Control Regulation also contributed to enhance compliance by Member States to CFP rules in foreseeing financial corrections by the Commission as shown in Section 5 of this SWD. While this was initially foreseen only by the Control Regulation for control measures, this principle was extended to all expenditure areas in the EMFF. The administrative burden has been assessed both for operators and for public control authorities 22 . The assessment showed that the administrative burden for operators clearly diminished compared to the previous system, although not to the extent envisaged. The administrative burden reduction calculated on the basis of the legislative act adopted in 2010 23 was estimated at 77% in respect to the previous system. The reduction of administrative burden was associated to the introduction of the electronic logbook for vessels above 12 meters and to the harmonisation of inspection standards. Actually the implementations of those measures, on the base of the vessel population in 2014, accounted for a 28% reduction. The electronic reporting is the measure that mostly contributed to it. It should be noted, however, that if this tool did not bring great benefits for the operators themselves it was found to be of extreme importance in reducing costs for public authorities. While its introduction implied great investment costs (mainly born by the European Commission, with a 90% reimbursement of costs incurred by Member States 24 ) a return of investment is nevertheless foreseen in the long term. Electronic reporting reduces the need for human resources in compiling and aggregating catch data from paper logbooks 25 , while at the same time increasing the quality and reliability of these data minimising the human error component and through a data validation system. Also resources for data cross-checks can be minimised by automating the processes and increasing the reliability of data. Consequently, the exchange of data with other Member States, the EFCA and the European Commission is possible in a much more efficient way. A cost reduction has also taken place further to fewer physical offshore surveillance activities and inspections. In general, the majority of the stakeholders agree that the administrative burden of the whole control system (operators and public authorities) clearly diminished with respect to the past. Improvements could be further gained if electronic (IT) systems were applied to areas which still rely on a paper-based system. Member States have generally implemented the main obligations set in the EU control regime and set up new instruments, procedures and standards for inspection and enforcement of fishing activities throughout the EU. Full implementation of this legal instrument however still needs to be achieved. This is mainly caused by the time necessary for technical adaptation (the Regulation imposed a series of new technologies and IT systems that needed development) and in some cases for the transposition into national law of the Member States (e.g. point for serious infringements and sanctions). Other reasons however might have hindered the process as well, and while Member States highlighted lack of human resources, other stakeholders also referred to lack of political will to ensure timely implementation. The evaluation proved that the Control Regulation is relevant for assuring compliance with the CFP policy, with the need to enforce implementation of sustainable and conservation measures still of great actuality. The Control Regulation is also fundamental in adding EU value to the fishery control system by assuring level playing field. While the principles embedded in its provisions are in general adequate and appropriate for ensuring compliance with the CFP policy, coherence is however lacking regarding the new measures introduced by CFP adopted in 2013, mainly related to the control of the landing obligation. Coherence is on the other side respected internally with other fishery legislations, as well as externally with other EU policies such as environment, maritime, innovation, sanitary, customs and trade policies, even if synergies could be improved. The Control Regulation is well accepted by relevant stakeholders. Its principles tackle issues that have in the past led to extensive overfishing, poor compliance with CFP rules and lack of ownership and it is recognised that in this respect the reform of 2009 improved the EU fisheries control system. The level playing field and the culture of compliance improved, together with the quality and reliability of catch data and collaboration among Member States. In this regard the Control Regulation was found to be effective and efficient, and new technologies (VMS, ERS) and new management tools (e.g. SCIPs, risk analysis) contributed to it. The single legal framework for the CFP control measures adopted in 2009 simplified and rationalised the previous system, but the lack of clarity of some of the provisions hinders both its effectiveness and efficiency, which are not fully exploited. Shortcomings are mainly due to lack or delays in implementation. While during the past five years all the players strove for complying with the new system, the development of new IT tools and new procedures and the transposition into national law took time, sometimes more than envisaged. As already anticipated at the time of adoption, results and impacts will be seen in the long term, when the whole system will be implemented and working for some consecutive years. The very different implementation of some of the measures across countries also has a negative impact on effectiveness and efficiency of this legal instrument. Although political will to ensure compliance is essential, derogations provided in the legal text were also found to hinder the level playing field. In other cases the different interpretation of the provisions was attributable to obscurity in the text. The update of obsolete measures and the modification of technical provisions which proved to be very rigid or of difficult implementation is asked by relevant stakeholders. Enforcement, especially concerning sanctions and point system, follow up of infringements, monitoring and catch reporting tools for vessels below 12 meters, control of weighing practices, traceability, and exchange and access of data among Member States and between Member States and the Commission are the areas that show the biggest shortcomings. The use of modern technologies, the development of an electronic information system and data sharing, and of standard control procedures, were supposed, in the long term, to drastically reduce the administrative burden of the operators. This still did not fully concretise as the development of those systems took time and in some cases they are still under development. The administrative burden on operators however already decreased and there is a recognised decrease in the costs for public authorities. The benefits of the electronic system compared to the paper-based one already concretised in a better quality of catch data and improved collaboration among Member States, although more can be done. Benefits are thought to outdo in the long term, but there is still potential for simplification and further reduction of the administrative burden. The results of this evaluation will feed into a reflection on how to address the challenges and shortcomings identified and how to improve the overall performance of the Control Regulation. Implement a sufficiently specified and uniform policy for the control system of Member States fishing activities in order to ensure the effective implementation of the CFP rules, for assuring sustainable exploitation of living aquatic resources, and reduction of overcapacity. 10.Increasing cost-effectiveness of control measures, by focusing on the reduction of administrative burden and simplification. Sustainable exploitation of living resources. To what extent has the CR established a Community system for control, inspection, and enforcement with global and integrated approach to ensure compliance with all rules of the CFP? To what extent does the CR support exploitation of living aquatic resources that provides sustainable economic, environmental and social conditions? To what extent does establishes the CR establish a global and integrated new common approach to fisheries control “from the net to the plate” through development of a culture of compliance among all stakeholders? To what extent does the CR contribute to the creation of a more level playing field for the fishing sector through the implementation of harmonised control rules and inspection standards in Union waters? To what extent does the CR enhance mutual cooperation between all Member States, the Commission and the EFCA? To what extent ensures the CR better enforcement of the CFP rules via the implementation of effective, proportionate and dissuasive penalties? To what extent have the original objectives proven to be appropriate for the Control Regulation? How relevant was the objective of establishing a global and integrated common approach to fisheries control to ensure compliance with all the rules of the CFP? How relevant was the objective of creation of harmonised control rules and inspections standards? How relevant was the objective of enhancing mutual cooperation between all Member States, the Commission and EFCA? How relevant was the objective of implementation of effective, proportionate and dissuasive penalties? How relevant was the objective of increasing the cost-effectiveness of control measures? How relevant was the objective of simplification? To what extent is the Control Regulation still relevant? What are the advantages of one EU-wide Control Regulation instead of individual regulations / arrangements by Member States? Can the effectiveness of the Control Regulation be improved? Is it possible to link the instruments even more directly to the objectives of the Common Fisheries Policy? A steering group was formed end of November 2014 to oversee the entire evaluation process. The steering group was composed of relevant Commission departments (DG MARE, DG ENV, DG SANTE, and the Secretariat-General) and two representatives of EFCA. The steering group discussed and validated the terms of reference for a study to be carried out by an external consultant. The request for service was issued in November 2014. The offers were evaluated by the steering group, and Capgemini was selected for carrying out the work. The contract was signed in April 2015. Tasks of the study were 1) data collection and analysis 2) assessment of the status of implementation of the Control Regulation on the basis of the first five years report from Member States and 3) assessment of the impacts and performances of the Control regulation according to the criteria of relevance, efficiency, effectiveness, coherence and EU added value and specific assessment of administrative burden. The study was conducted in three phases: data collection, analysis and judgement. The collection of data included both compilation of data already available and calls for additional information collected specifically in the frame of the study through surveys and interviews with relevant stakeholders. Analysis of information collected included validation and cross checks with other sources. The methodology used for judgment (evaluations questions and sub-questions, criteria and indicators) were at length discussed in the steering group. The consultant submitted its preliminary findings to the steering committee in spring 2016. The report went through several revisions on the basis on inputs from the steering committee. The steering committee approved the final report on 14 November 2016. In parallel to the study DG MARE also directly engaged in stakeholders consultations. In this document the results of the study carried out by the external consultant are summarised and complemented with the outcome of DG MARE stakeholders' consultations and with the results of Commission verification missions and audits. For gathering data and opinion on the implementation of the Control Regulation and its impacts a wide consultation campaign has been carried out between November 2014 and June 2016 addressing stakeholders directly and indirectly impacted by the Regulation, plus the ones who have stated interest in the policy. Different tools have been used in the consultation process to ensure broad and exhaustive coverage of stakeholders. Member States and national control authorities have been consulted by mean of a questionnaire, by a survey 26 , in two meetings of the Expert Group on Compliance, through national visits (all the coastal Member States have been visited by DG MARE) and via specific interviews. Advisory Councils have been consulted in dedicated meetings and by organising a seminar. Fisheries organisations, fisheries producers, scientific bodies and NGOs have been contacted through surveys26, specific interviews26 and in targeted meetings. Citizen, individuals and scientific organisations have been addressed through the public online questionnaire which was active for 12 weeks, from December 2015 to March 2016. The public consultation got four hundred forty one responses, sixteen of which came from registered organisations, all the others from individuals. On the top of those twenty-one position papers were submitted by Advisory Councils, EU organisations, environmental NGOs, national fishery organisations and national control authorities. The original contributions, together with a Summary Report of the Results of the Public Consultations are published on the Commission webpage 27 . In 2015 and 2016 DG MARE participated to several discussions held on the Control Regulation and related issues in the PECH Committee of the European Parliament 28 . A workshop for gathering the view of the Members of the European Parliament was organised by DG MARE and held in the European Parliament in March 2016. A high level meeting for discussing strength and weaknesses and status of implementation of the Control Regulation was also organised by the Latvia Presidency and took place in Jurmala in April 2015. Directors-Generals and Fisheries Attachés and the Director General of DG MARE attended it. There is general agreement among stakeholders that the principles embedded in the Control Regulation provide an adequate and appropriate framework for ensuring compliance of the CFP policy, aiming at assuring level playing field and promoting a culture of compliance. The formulation of the provisions however is not always clear, resulting in a very different interpretation and implementation by Member States. The system put in place in 2010 called for a drastic change in the fisheries management, huge structural changes and big investments. While during the past 6 years all the players strove for complying with the new system, full implementation still has to be achieved. Many if not most of the effectiveness issues relating to the Control Regulation stem from insufficient or inadequate implementation and enforcement of the regulation itself, or from provisions included in the implementing act (Regulation 2015/1962 ex Regulation 404/2011). Continuity of the current system is asked from all the players, both for assuring return of the investment done and for achieving the set goals. Some modifications are however requested for adapting to the changed policy scenario (new CFP, Marine Strategy Framework Directive), evolving towards a more flexible, regionalised and result oriented approach. Below an overview of the feedback provided in the four areas investigated. More details are given in the Summary Report of the Results of the Public Consultations. Stakeholders state that having a uniform, harmonised and global fisheries control system at European level shall be a priority of the Union. Assuring level playing field among Member States, among fisheries, among EU fleets fishing in or outside EU waters and for both EU and non-EU fleets fishing in EU waters is one of the pillars for an effectively functioning CFP. While a lot has been achieved thanks to the new system in force since 2010, there is still room for improvement and further commitment is required from Member States and from the European Commission for a coherent application. Implementation of provisions on sanctions, inspections, traceability, vessel monitoring and catch reporting tools needs particular attention. Development of EU standards, harmonise approaches for control activities and shared IT platform for data exchange are essential tools for achieving a uniform level playing field and the Commission and EFCA should continue the work initiated in this fields. According to 50% of responses to the online questionnaire, the level playing field among Member States did not improve with the new system, while 34% of the responses are positive (among them 12 of the registered organisations). According to 49% of the responses the level playing field did not improve for fisheries and fishermen, while it did for 38% of the responses (among which 10 of the registered organisations). According to stakeholders an important cornerstone of the Control Policy is to cover and raise awareness among all players involved in the full range of fishing activities (catching, processing, distribution and marketing) of the importance of compliance with the CFP rules. The current framework favourably influenced the responsibility of operators and Member States, however it is still necessary to strongly enforce compliance with the policies and regulations of the CFP through a comprehensive monitoring and control system. The Specific Control and Inspection Programmes are highly appreciated by all stakeholders and the Joint Deployment Plans coordinated by EFCA for their implementations are seen as an excellent tool for improving cooperation and exchange of information among Member States. The educational activities and training carried out by EFCA have been valuable and important in explaining the new applicable rules and raise awareness among operators on conservation issues. Some specific sectors of the EU fleet, in particular the so called small scale fisheries, strongly suffered from the recent economic crisis and feel the new rules imposed (especially on the landing obligation) are an unjustified burden. If the situation is not handled carefully there is the concrete risk that the trust built between fishermen and control authorities in the last years will be irremediably undermined. Culture of compliance strongly relies on a fair level playing field, uniform application of the control rules across fisheries and countries, included third country vessels fishing in EU waters, and above all on a transparent system. The current system of serious infringements and sanctions is not applied by Member States with even criteria, and harmonisation is absolutely necessary for building trust in the rules and their respect by fishermen. Incentives for operators that behave correctly should be sought. It is believed that a more participatory approach and sense of ownership by fishers to the management of the fisheries they operate would improve levels of compliance. For pursing this goal exchange of information on control implementation between Member States and operators shall also be improved and encouraged. According to 62% of the responses to the online questionnaire the behaviour in the fisheries changed towards better compliance with the Common Fisheries Policy rules since the Control Regulation has entered into force (among them 15 of the registered organisations). The opinion is divided on half on the question whether the new integrated approach to fisheries control contributed to a positive impact on the status of the EU fisheries stocks, with 46% positive answers (among them 14 of the registered organisations) and 46% negative (2 registered organisations). The new instruments set in place in the control Regulation to ensure implementation of the CFP by Member States are in general very much appreciated by stakeholders. According to 58% of the respondents to the online questionnaire (11 registered organisations) the increased powers of the European Commission in verifying Member States' control activities, performing audits and carrying out autonomous inspections increased the compliance attitude of Member States with the Common Fisheries Policy rules. The action plans established by the Commission to address identified shortcomings in the control system of the Member States are also considered an effective cooperative tool to end situations of systemic deficiencies by 52% of the respondents to the online questionnaire (9 registered organisations). According to stakeholders the single legal framework for the CFP control measures simplified and rationalised the system. The Control regulation however is still very complex, and there is the need for clarification of some provisions. Because some obligations are interpreted or applied very differently from Member States there is also the necessity of interpretation and or guidance from the European Commission. The use of modern technologies and the development of an electronic information system and data sharing were also supposed, on a long term, to reduce the administrative burden of the whole system. This still didn’t fully concretise as the development of those systems took time and in some cases they are still under development. The role of EFCA and of the European Commission in assuring a harmonised and coherent approach, with compatible systems for reporting, exchange of data, and for traceability of fishery products is fundamental. In general according to the majority of the respondents to the online questionnaire the current system has simplified the overall regulatory system, simplified the communication among players and reduced the administrative burden. In the Baltic and North Seas, 89 audit, verification (e.g. follow-up on action plans, informal bilateral dialogues, evaluation of EMFF ex-ante conditionality, sanction systems etc.) and fact finding missions were carried out during the period 2010-2014. In 2015 and 2016, so far 30 missions were accomplished. The findings of these missions demonstrate that in general all Baltic and North Sea countries have set up fisheries control and monitoring systems by allocating necessary resources. The changes introduced by the Control Regulation in 2009 were effectively addressed by most countries. Implementation of new technologies with relevant information systems to ensure more reliable fisheries data and quota uptake monitoring is either implemented or well-advancing. Control of fisheries and data flows is mostly based on risk management with control efforts focusing on higher risk vessels, fisheries or operators. The work conducted by the Commission allowed also identifying certain deficiencies in the control national systems. The areas where improvements were needed regarded mainly fisheries data management, sanctioning systems, weighing sampling systems, and effective collaboration among national authorities. The shortcomings identified in those areas were effectively addressed by the relevant follow up tools. Where possible, as first step to solve the cases of non-compliance the Commission adopted action plans. Where however no compliance with the Control Regulation persisted informal bilateral dialogues and, if necessary, formal infringements procedures were initiated. In the period 2010-2014, one Action plan was adopted by the Commission and satisfactorily closed by the end of 2014. After 2014, three action plans were adopted and are still ongoing. The Action Plans allow significantly improving the control systems in the Member States and giving an assurance to the Commission that specific weaknesses are addressed. In particular, since 2010 at least 3 Member States have allocated additional resources and even created new control offices, thanks to the collaboration between the Commission and relevant Member States. In the period 2010-2014 the Commission initiated seventeen informal bilateral dialogues with the Member States bordering the North Sea and Baltic Sea. In two of these cases, formal infringement procedures were launched in the period 2010-2014 (still ongoing) because the shortcomings had not been satisfactorily addressed. In the period following 2014, one informal bilateral dialogue was initiated and is still ongoing. During the period 2010-2014, 85 audit and verification missions have been carried out in the Atlantic sea basin, with the objective to assess the control system of France, Ireland, Portugal, Spain and the United Kingdom. While the first priority has been given to auditing the catch and effort registration system of the Member States, as a basis of the conservation policy in this sea basin (49 audit missions), focus was also put on the exchange of control information between Member States and traceability of fisheries products (19 missions). A series of verifications focusing on specific issues related to pelagic, hake and deep sea fisheries was also organised and results where fed into these two audit programmes. As a result, three action plans have been adopted to overcome the deficiencies of the control system of three Member States. Mainly systemic deficiencies were encountered and concerned weaknesses in (1) coordination between the control bodies involved, (2) exchange of information between Member States, (3) databases consistency, (4) collection, management and crosscheck of control documents. Overall the exchange of information between Member States and cooperation in control and monitoring has significantly improved. Four action plans have been adopted. Informal bilateral dialogues led to adoption of the necessary corrective measures in two cases. In the Mediterranean and Black Sea 127 verification and fact finding missions were carried out during the period 2010-2014, 19 missions were done in 2015. The work carried out by the Commission brought to the adoption of five Action Plans to address systemic deficiencies, irregularities or shortcomings identified in the national control systems. Ten missions were carried out to verify the application of these four action plans. The Commission recognise that main achievements observed during this period were on the improvement of the control capacity of the national administrations (provision of electronic systems, operational cooperation, etc. ), the improvement of the control of Blue Fin Tuna fisheries (implementation of the Specific Control Programme estimation of catches through the provision and the use of stereoscopical cameras, releases, etc. ), the limitation of the use of illegal driftnets and the conduct of joint control and inspection actions between Member States. The main shortcomings detected refer to the monitoring of the activities of the fishing vessels not subject to the fishing logbook requirements and the collection of data on catches resulting from recreational fisheries. Other issues concerned incorrect or missing labelling of fish products, the completion, submission and cross-check of sales notes, the implementation of the Electronic Recording System (electronic logbook, exchange of data, etc. ), and the marking of the fishing vessels. (2) Regulation (EU) No 1380/2013 of the European Parliament and of the Council on the Common Fisheries Policy, OJ L 354 28.12.2013 p.22. Commission Staff Working Document -Fitness and Performance Programme (REFIT): State of Play and Outlook, SWD(2015) 110 final . (4) ‘Evaluation of the impact of Council Regulation (EC) No 1224 / 2009 of 20 November 2009 "establishing a. Community control system for ensuring compliance with rules of the common fisheries policy” Evaluation report’, EU bookshop catalogue nr KL0716172ENN, ISBN 978-92-79-64671-3, DOI 10.2771/927090. ‘Evaluation of the impact of Council Regulation (EC) No 1224 / 2009 of 20 November 2009 "establishing a Community control system for ensuring compliance with rules of the common fisheries policy” Synthesis report of the first five years report of Member States according to Art 118’, EU bookshop catalogue nr KL0716174ENN, ISBN 978-92-79-64676-8, DOI 10.2771/359063. (6) Better regulation guidelines (Commission Staff Working Document), SWD (2015) 111. (7) Commission Implementing Regulation (EU) No 404/2011 of 8 April 2011 laying down detailed rules for the implementation of Council Regulation (EC) No 1224/2009 establishing a Community control system for ensuring compliance with the rules of the Common Fisheries Policy, OJ L 112, 30.4.2011, p.1. (8) Special Report No 7/2007 pursuant to Article 248(4) second paragraph, EC, on the control, inspection and sanction systems relating to the rules on conservation of Community fisheries resources. (9) It should be noted that the Court of Auditors is currently performing audits on the effectiveness of the fisheries control system in some Member States. The results will be published in the second half of 2017. (10) Council Regulation (EC) No 768/2005 establishing a Community Fisheries Control Agency, OJ L 128 21.05.2005 p.1. (11) Council Regulation (EC) No 1005/2008 establishing an Union system to prevent, deter and eliminate illegal, unreported and unregulated fishing, OJ L 286 29.10.2008 p.1. (12) Regulation (EU) No 508/2014 of the European Parliament and of the Council on the European Maritime and Fisheries Fund, OJ L 149 20.05.2014 p.1. Regulation (EU) 1379/2013 on the Common Organisation of the Markets of Fishery and Aquaculture Products, OJ L 354 28.12.2013 p.1. (14) Proposal for a Regulation of the European Parliament and of the Council on the sustainable management of external fishing fleets, repealing Council Regulation (EC) No 1006/2008, SWD/2015/636 final - 2015/0289 (COD). (16) Almost half of the fish products trade within and outside the EU consists of exchanges between EU Member States. In 2015, intra-EU ex ports were 4 times higher than exports to extra-EU countries, and totalled the all-time peak of 6 million tonnes worth EUR 22,5 billion [reference 'The EU fish market, 2016' EUMOFA]. The legal basis for these decisions is the Council Regulation (EC) No 861/2006 establishing Community financial measures for the implementation of the common fisheries policy and in the area of the Law of the Sea, OJ L160 14.6.2006, p; 1. (18) Regulation (EU) 2015/812 of the European Parliament and of the Council of 20 May 2015 amending Council Regulations (EC) No 850/98, (EC) No 2187/2005, (EC) No 1967/2006, (EC) No 1098/2007, (EC) No 254/2002, (EC) No 2347/2002 and (EC) No 1224/2009, and Regulations (EU) No 1379/2013 and (EU) No 1380/2013 of the European Parliament and of the Council, as regards the landing obligation, and repealing Council Regulation (EC) No 1434/98, OJ L 133 29.05.2015 p.1. (19) Council Regulation (EC) No 1005/2008 establishing an Union system to prevent, deter and eliminate illegal, unreported and unregulated fishing, OJ L 286 29.10.2008 p.33. (20) Council Regulation (EC) No 850/98 for the conservation of fishery resources through technical measures for the protection of juveniles of marine organisms, OJ L 125 27.04.1998 p.1. (21) Council Regulation (EC) No 1967/2006 concerning management measures for the sustainable exploitation of fishery resources in the Mediterranean Sea, OJ L 409 30.12.2006 p.11. (22) It should be noted that while nowadays administrative burden refers to both operators and public authorities, in 2007 at the time of the impact assessment of the Control Regulation only the administrative burden for operators was assessed. (23) SWD(2012)423. The reduction in administrative burden presented in the impact assessment had to be recalculated as not all the provisions of the proposal of the Commission, which were supposed to reduce the administrative burden, were adopted. (24) In the frame of the financial decision adopted since 2010, the European Commission paid, as of February 2017, 87,5 Mio EURO and payments are still possible till the end of 2018. The main categories of expenditure are the development of IT tools and databases (EUR 33 Mio); ERS devices to be put on fishing vessels (EUR 14 Mio); the development of ERS Systems (EUR 13,3 Mio); traceability (EUR 12 Mio) and VMS devices (EUR 6,9 Mio). (25) In 2008, before the adoption of the current Control Regulation and the introduction of ERS, one Member State had 79 people used exclusively for entering such data into the system [COMMISSION STAFF WORKING DOCUMENT accompanying the Proposal for a COUNCIL REGULATION establishing a Community control system for ensuring compliance with the rules of the Common Fisheries Policy IMPACT ASSESSMENT, SEC(2008) 2760]. (26) Carried out by the external consultant.